Only weeks after releasing the first two of its five flagship productivity apps into the App Store and introducing a full-refund policy for its iPad customers, Mac developer The Omni Group is upping the ante once again by announcing release dates for three more products destined for Apple's new device. In a post on the company's blog, CEO Ken Case restates the company's commitment to the iPad for its future development efforts and mentions that an iPad version of OmniFocus, Omni's task management app, will be available in June, thanks in part to the work that developers have already put into creating an iPhone version. Fans of outline-generator OmniOutliner and project-planning app OmniPlan, however, will have to wait until summer and fall of 2010 respectively. 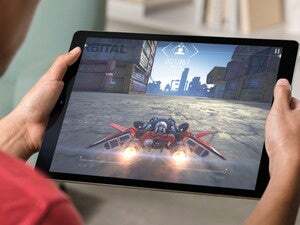 In the post, Case also covers the company's ongoing development efforts related to its first two iPad releases by mentioning that both have been update to version 1.1, introducing bug fixed and improving performance.